A funeral is a very personal affair – the kind of funeral service provided is influenced by many factors including tradition, custom, religious obligation, and individual preference. There is no standard practice, no set pattern of events that is right for everyone. At W Larcombe & Son, we offer unique opportunities for families to create healing moments after loss. Our experience, coupled with our perspective on the importance of ceremony, will help you discover ways to pay tribute to your loved one – whether you choose a traditional or unique tribute service, these tributes allow us to love, laugh, and live well again. We will explain prices and payment terms to your satisfaction. We will explain the value and benefits of all available options. We will ensure that the arrangements you make meet with your individual wishes. 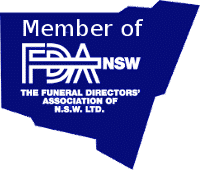 As a full service funeral provider we are able to assist you with every aspect of the funeral to make it unique and designed for your exact requirements. Our qualified staff ensure we provide the highest level of service to the community – with experience, understanding, sincerity and care.